Nowadays, everything in IT is about being bigger, faster and easier to use. Our motivation is to combine these trends with requests by organizations to keep control over their own IT and to define the terms of their own data themselves. Therefore we are excited to launch a few of our new clients and toolchains at Kopano Connect. We at Kopano deliver applications for communication and collaboration at the highest grade of Digital Sovereignty, without the need to make compromises in user experience. Fast and easy communication in audio and video with or within organizations is key to asserting yourself in the digital world. 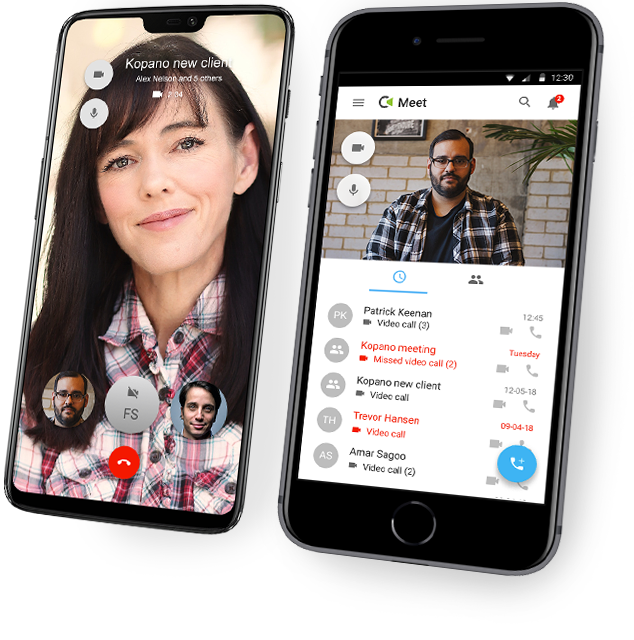 Kopano Meet evolved from Kopano Web Meetings, bringing its usability to a new level while keeping the whole stack under the full control of your organization. It is the first published client using Kopano’s new REST API. 11:00 – 11:10 Welcome. Introduction.